I really love my car. It drives extremely smooth and I get complimented all of the time. Even though it is an older car it does not look it at all. My only issues with the car is that when a part of the car breaks or needs to be repaired the parts are really pricey. It wastes gas really quickly. The car has a luxury interior with ash trays in every car door with comfy seats and it is pretty fast without any upgrades. I do not like about it is that the battery is in the trunk and that you cannot really open the back seats. That I wouldn't consider it a family car because of the inside size. I like that it is a luxury car. I love the sunroof. The only thing I dislike about it is the high cost of maintenance. CERTAIN PASSENGER VEHICLES FAIL TO COMPLY WITH THE REQUIREMENTS OF FEDERAL MOTOR VEHICLE SAFETY STANDARD NO. 135, "PASSENGER CAR BRAKE SYSTEM." THE BRAKE FLUID MASTER CYLINDER RESERVOIR IS RECESSED AND ORIENTED IN THE ENGINE COMPARTMENT BENEATH A LEAF SCREEN, SUCH THAT THE BRAKE FLUID WARNING STATEMENT EMBOSSED ON THE TOP OF THE RESERVOIR BODY IS NOT VISIBLE BY DIRECT VIEW. THIS DOES NOT COMPLY WITH THE STANDARD. OWNERS WILL BE SENT LETTERS WHICH WILL INCLUDE INSTALLATION INSTRUCTIONS AND LABELS CONTAINING THE REQUIRED WARNING STATEMENT. IF THEY PREFER, OWNERS MAY CONTACT DEALERS TO HAVE THEM INSTALL THE LABELS. THE RECALL BEGAN ON JANUARY 25, 2005. 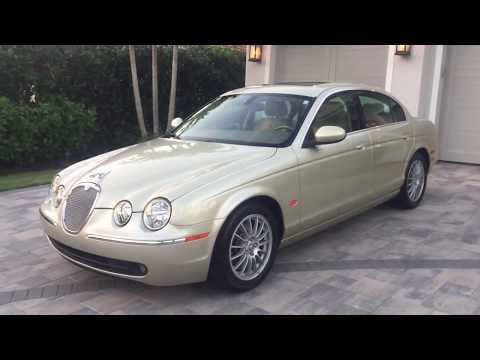 OWNERS MAY CONTACT JAGUAR AT 1-800-452-4827.